From Reyes-Foster, Beatriz. 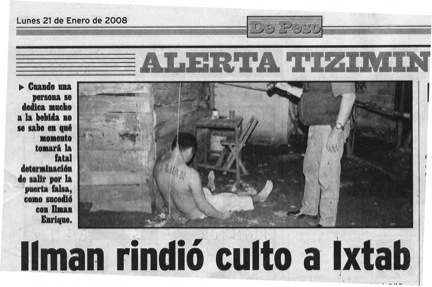 “He Followed the Funereal Steps of Ixtab: The Pleasurable Aesthetics of Suicide in Newspaper Journalism in Yucatán, Mexico.” The Journal of Latin American and Caribbean Anthropology 18, no. 2 (2013): 251–273. doi:10.1111/jlca.12019.